Photo of a late night studying for college classes. The photo exaggerates the use of caffeine as a study aid. 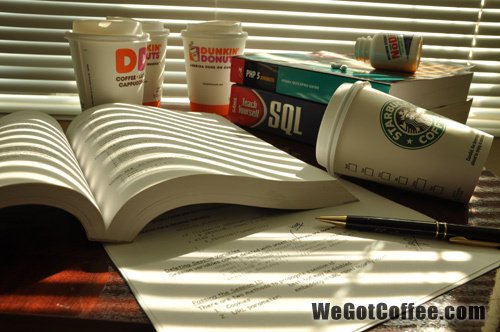 Added to this is the programming books – many computer programmers love their caffeine.